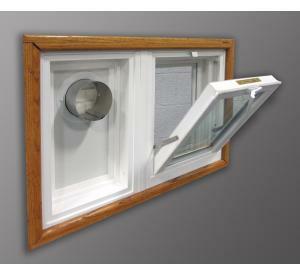 WeatherMaster combination Hopper/Dryer Vent Windows are strong, fully assembled, tight, and secure and made to order. Compared to a horizontal sliding window, WeatherMaster Hopper style vinyl windows with extruded aluminum screens let in more light, more ventilation, and, hoppers cost less than sliders! These units come fully assembled for easy installation, we supply the vent housing with its 4" pipe, all ready to go. Strong yet lightweight, the Hopper/Dryer Vent Combo are the windows to buy! 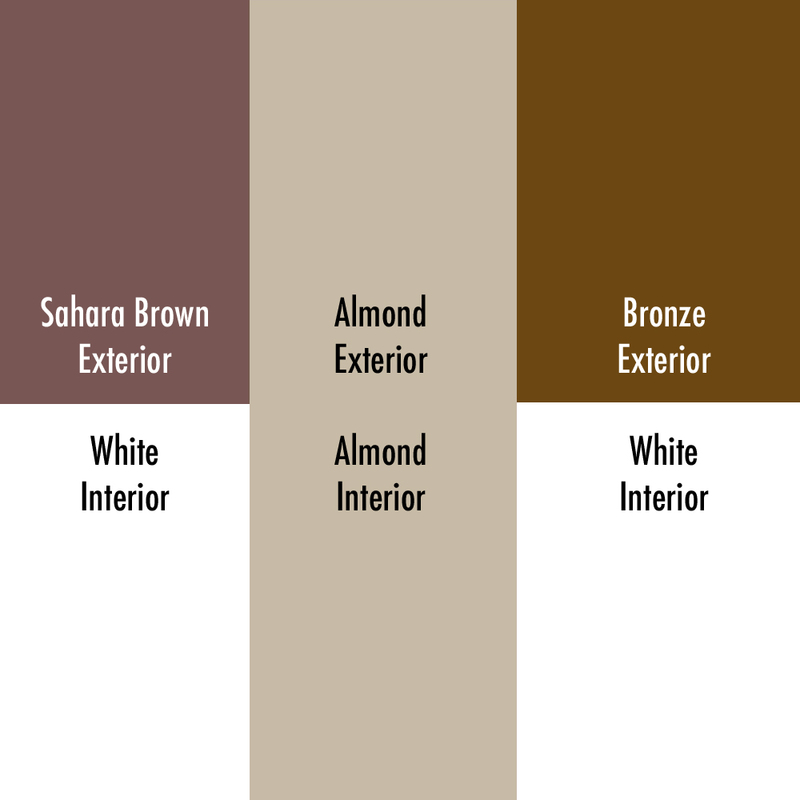 - Beautiful white vinyl finish, this window is an attractive choice for any basement. - Hopper Windows tilt in hinged at the bottom for maximum ventilation. - Economical, solid, strong, warm. - Standard 4" Vent Pipe and Rodent Guard included. 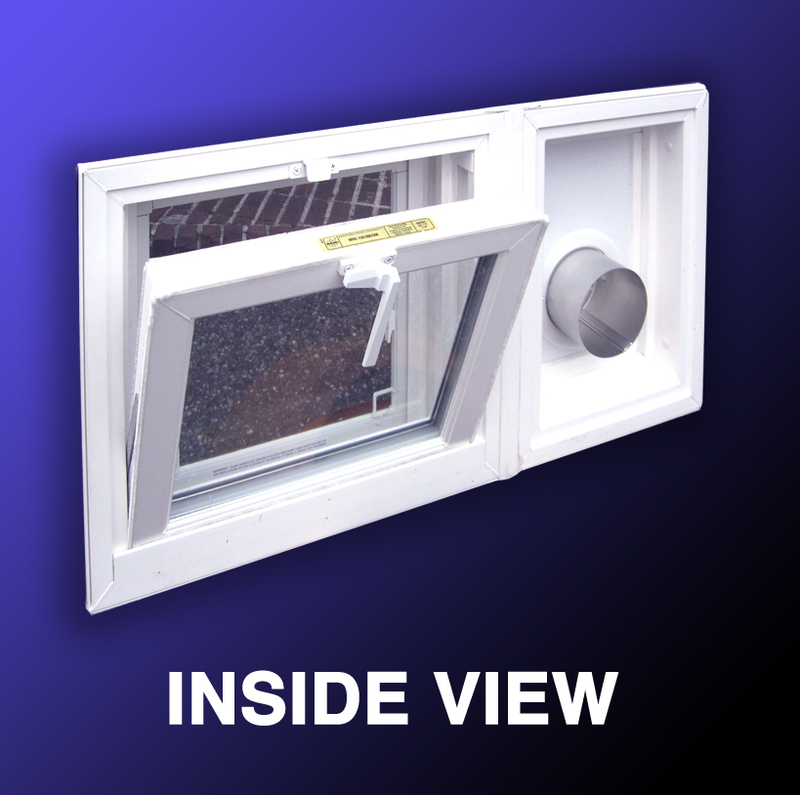 - 7/8" Insulated Glass, Double Locks and a Full Screen complete the package. - Order size is rough opening size. - Orientation is looking at the window from the inside of the house. - All sizes available up to 15.5"w x 13.5"h thru 36"w x 24"h. Call or email for pricing. Bestlouver.com can supply Hopper windows to fit any size rectangular opening. 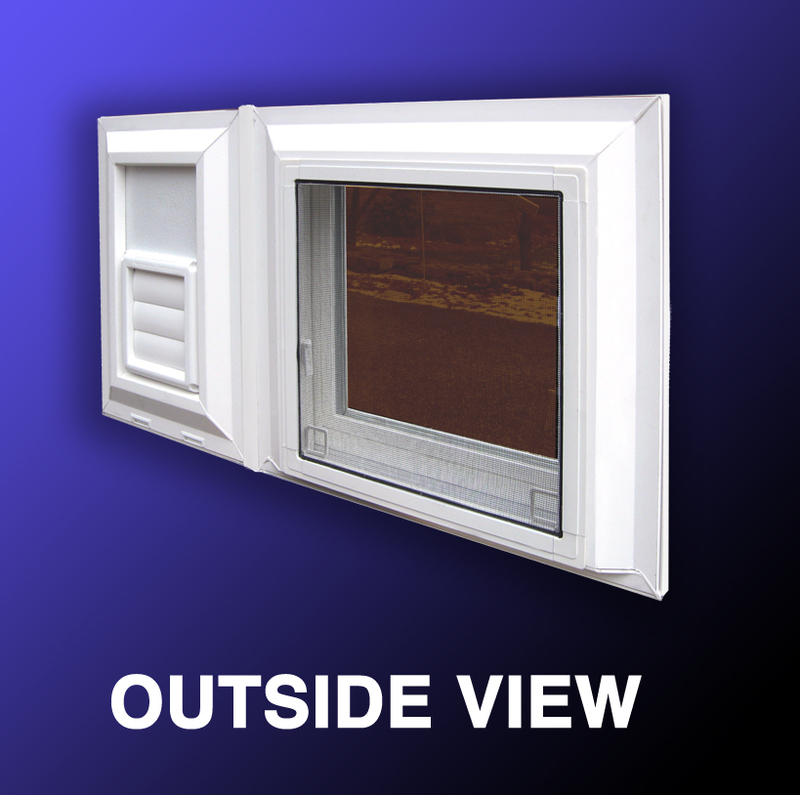 See our other product "Hopper Windows." Easy to order, easy to receive, easy to install. Call or e-mail us today with your requirements and we will be glad to quote it for you.